SALT LAKE CITY (April 9, 2018) – The U.S. Small Business Administration recently announced the addition of nine new Women’s Business Centers, including one in Cedar City, Utah. The opening of these new centers will provide assistance and resources to entrepreneurs in new and expanded markets around the nation. 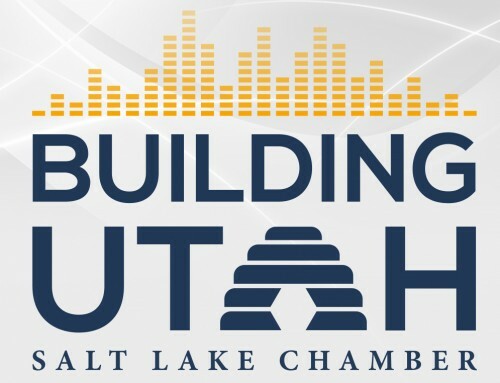 “The Women’s Business Center of Utah hosted by the Salt Lake Chamber has always been a true partner and I look forward to continuing our relationship as we seek to serve and increase opportunities for women entrepreneurs throughout Utah, especially in more rural areas,” said Marla Trollan, SBA Utah district director. The Women’s Business Center applied for the competitive SBA grant during the winter and was just notified of the award. The SBA Women’s Business Centers are a national network of more than 100 centers that offer one-on-one counseling, training, networking, workshops, technical assistance and mentoring to women entrepreneurs on numerous business development topics; including business startup, financial management, marketing and procurement. For more than twenty years, the Women’s Business Center of Utah, formerly known as Salt Lake Chamber Women’s Business Center, has provided assistance, resources and support to Utah women business owners and aspiring entrepreneurs, serving an estimated 50,000 people through individual counseling and group training. Just last year, the WBC trained nearly 4,300 people; more than any other WBC in the country. With a new center in Southern Utah, the Women’s Business Center of Utah will help more women owners thrive in business. To learn more about SBA’s programs and services for women entrepreneurs, visit online at www.sba.gov/women, and to find your local Women’s Business Center and other SBA resources, visit www.sba.gov/tools/local-assistance. The Women’s Business Center of Utah is a 501(c)(3) nonprofit organization funded in part through a Cooperative Agreement with the U.S. Small Business Administration. The center helps Utah women build confidence, create new opportunities and experience success in business ownership through individual consultation, group training and online resources at WBCUtah.com.